At the end of the year, the United Nations will select a new Secretary-General when incumbent Ban Ki-moon’s term runs out. Campaigns across the globe have been pushing for a more transparent and inclusive process and for the first time in its 70 year history, the UN might elect a woman to its top job. Since the UN began soliciting candidates last year, Bulgaria’s Irina Bokova has emerged as a potential favourite. 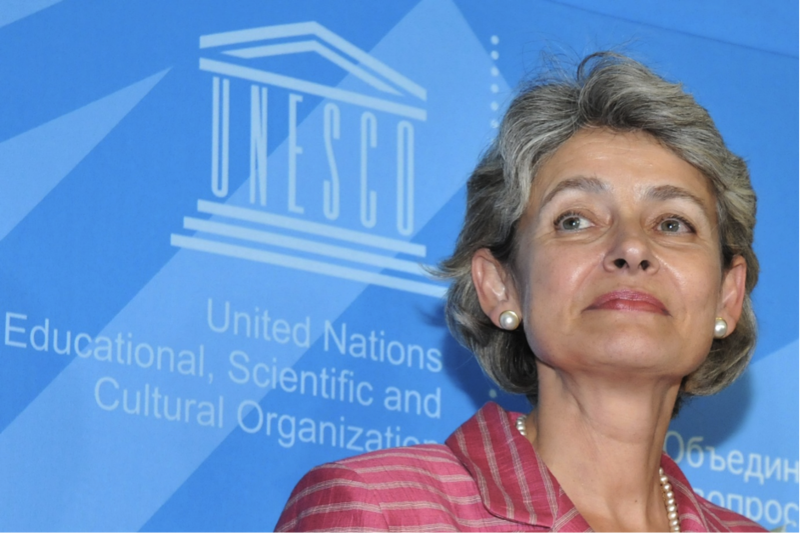 Bokova, the Director-General of UNESCO was recently nominated by her government and is now openly campaigning for the role of Secretary-General. 63 year old Bokova secured the nomination from her home country after beating European Commission Vice President Kristalina Georgieva. Now that Bokova has Bulgaria’s backing, many observers have tipped her as a leading candidate for the nomination. Bokova studied in the former Soviet Union and in the United States and she speaks French, English, Spanish and Russian fluently. Despite her glowing CV, Bokova’s nomination isn’t without controversy. Under her leadership, UNESCO recognised Palestinians as full members in a move that spurred backlash from Israel and the United States. There is also contention surrounding her membership of Bulgaria’s Communist Party during the Cold War, and her father’s former job as the editor of its propaganda publication. Support from Russia is crucial to Bokova’s election chances as it is one of five nations on the Security Council which recommend the appointment of the next Secretary-General. Bokova is also aided by the UN’s leadership rotation system, which is now facing Eastern Europe. But Bokova isn’t the only one seeking the top job. Former Prime Minister Kevin Rudd has yet to officially announce his candidacy but there have been reports that he has been lobbying for the position. Foreign Affairs Minister Julie Bishop said the government would consider backing Mr Rudd for the role after he received some high-profile support from Nobel Prize winner Jose Ramos-Horta. There are now six candidates officially in the running, including two other women from Eastern Europe. This is now the beginning of a long and unprecedented campaign, which has a good chance of ending with the first woman as head of the United Nations. The 1 for 7 Billion campaign is a global drive supported by organisations and individuals from all corners of the globe committed to getting the best Secretary-General. Over 750 organisations have signed up to the campaign with a combined reach of more than 170 million people. The Secretary-General is traditionally chosen in secret by the five countries that hold permanent seats on the Security Council. The UN has certainly had some excellent leaders but this has been despite, not because of, a process that is outdated. An open and inclusive selection process, with genuine involvement by all UN members could also give future Secretaries-General a stronger mandate. A better process would also help to revitalise the United Nations and reaffirm its global authority and popularity. This year’s selection process has already started off differently as the United Nations asked member states to nominate a candidate for the post in an attempt to bring more transparency to the process.